Great White DJ: "Not a Single Day Goes By That You Don't Cross My Mind"
"Not a Single Day Goes By That You Don't Cross My Mind"
With every new release I fall for A R I Z O N A a little bit more. It all started with Oceans Away, which led me to their debut album Gallery. 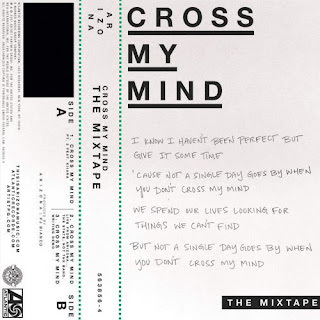 If you head on over to Spotify, you'll learn that of the standout tracks on the album was Cross My Mind. Knowing that the track was such a slam dunk, A R I Z O N A went ahead and created a mini-mixtape with two alternate versions of the track, as well as a live version from...you guessed it...the state of Arizona. How perfect!